The NFC pioneer’s NFC4All platform provides a wide array of in-store marketing and customer service apps designed to enable retailers of all sizes to drive traffic to stores, increase in-store transaction volumes and reduce lost sales opportunities. NFC pioneer Narian Technologies has unveiled NFC4All, an NFC platform designed to provide retailers with a wide array of easy to use NFC-based marketing and customer service options. NFC4All includes options aimed at sixteen retail market segments including restaurants, supermarkets, departments stores, hotels, stadiums and more. Retailers who sign up for the service can pick and mix the basket of services they wish to offer. They then pay Narian a service fee of five cents each time a customer interacts with the system, Einar Rosenberg, the company’s CEO, told NFC World. The service will be offered with a modest US$20 monthly minimum service charge and no set-up fee. One app, for example, will let shoppers with an NFC phone tap a tag to request assistance. The system will then page a member of staff with knowledge of the particular product and will continue paging until a staff member arrives with the customer and has his ID card read by the customer’s NFC phone. If it takes longer for a staff member to arrive than the store has set as its limit, the system will then switch over to paging the manager to alert him of the problem. Applications like these, says Rosenberg, will make it attractive for retailers to implement the system now, even though few customers have NFC phones, since the system can help merchants reduce lost sales from day one. With NFC4All, “without any coding anyone can create an NFC app,” Rosenberg continues. 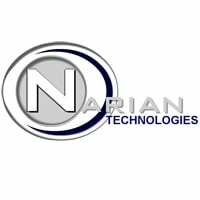 Retailers will be able to visit the Narian portal, select the services they wish to use and customise the look and feel of their app to their own branding requirements using a simple user interface. Integration with third party systems will also be available and retailers will be able to export data from NFC4All and load it into their existing back office systems if required. The company is also in the process of establishing a network of Narian Certified Resellers who will be able to make the NFC4All platform available to retailers worldwide, Rosenberg adds. If no one else is going to say it then I will. Congrads to Narian and thanks for progressing the role of NFC solutions in retailing. I agree small to mid-format retailers will benefit most from NFC solutions more than the big box and flagship retailers and even further, solutions like this is more realistic than Telcos/Banks JVs. Banks have already warned they will start charging account holders $3/month for direct debit transactions and telcos already start setting cap limits on bandwidths. These are not the true champions of NFC and I wouldn’t be too anxious to see these dinosaurs create NFC-based solutions with value. NFC solutions like NFC4All that take advantage of cloud computing and focus more on the merchants than the mobile phone customer is what is more promising. I’m still a little peturb at the thought mobile phones will be the NFC device over upcoming tablets that can take advantage of wi-fi which will always be more secure than GSM for wireless transactions..